Timings: 11:00 am - 9:00 pm. Tired of stuffy humidity, high temperatures, and pollution? Escape the city to the pristine snowy landscapes of Switzerland! 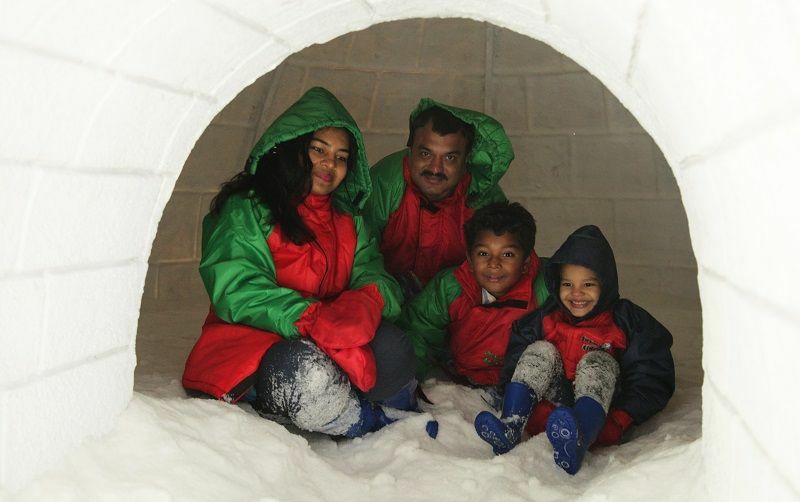 Plan a visit to the Snow Kingdom...Mumbai's largest snow theme park! 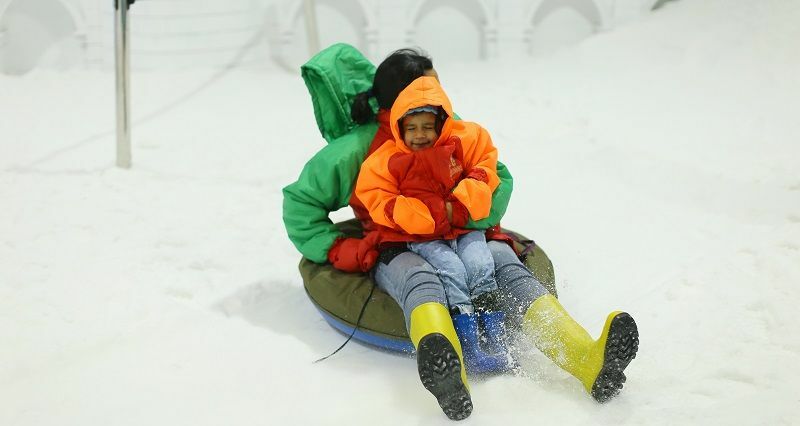 Three times the size of its closest competitor in Mumbai, Snow Kingdom is one of Asia's finest and Mumbai's largest full-fledged indoor snow theme park. As part of the attractions in R-City Mall, Ghatkopar, it is not only centrally located but also easily accessible. 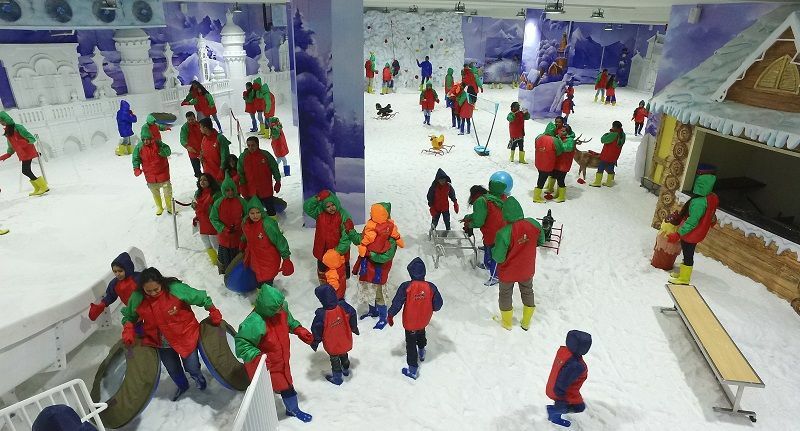 With exciting snow rides and the space to experience winter in a real way, Snow Kingdom is a must-visit attraction which promises a unique brand of fun. For the whole family! Sterilized winter gear (socks, shoes, jerkins, and gloves) on a returnable basis. Separate tickets must be purchased for DSLRs and digital cameras. DSLR or digital camera fee. Guardian/Parent must accompany children below 10 years of age, specially-abled persons, elderly and guard them at all times. Children below 24 months of age are not recommended in the Snow Kingdom. Guardian/Parent is solely responsible for the consequences. Child ticket applicable only age between 2 to 11 years. Above 11 years need to buy an Adult ticket. Management reserves the Right of Entry to the Snow Kingdom. Adhere to the instructions of the Snow Kingdom staff. Take an advice from an expert, specialist and a doctor prior to stepping into Snow Kingdom, if you are: a specially-abled person, pregnant, suffering from any condition that might aggravate/deteriorate/worsen, Suffering from any medical conditions, not limited to, with heart, lungs, with the cold temperatures and by the experience at the Snow Kingdom. 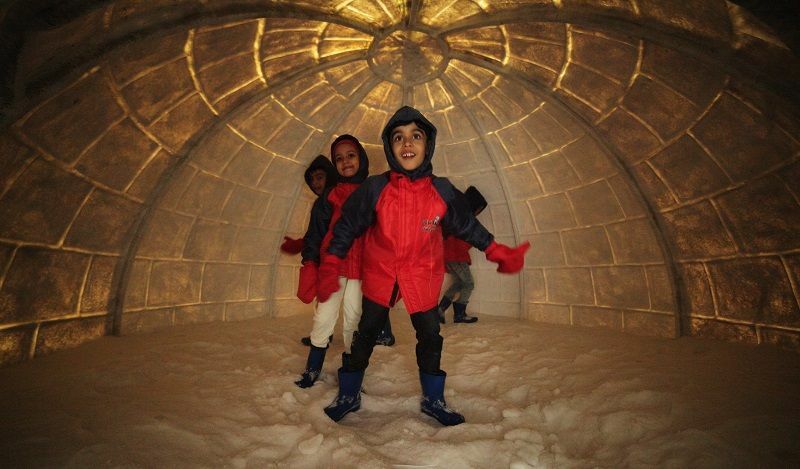 All visitors to the snow area must be properly attired in snow jackets and boots. Jackets, gloves, socks, and boots will be provided on a returnable basis. All rides and games are free of cost inside the snow area. Care with respect. Please do not: Litter the Snow Kingdom and surroundings and please use dustbins, climb up, walk or run down the snow slides/slopes, slide without using the Snow Kingdom approved tube or mat, throw snow at others, disturb other visitors and their privacy. Caution to be maintained while in Snow Area. While you are sliding, you should hold and sit on the tube/mat at all times. Do not carry any bags/items which may hinder/obstruct the activity. Every visitor (all ages) must buy a ticket. Please follow Snow Kingdom rules and regulations before you enter. In case of an emergency, please stay calm and vacate the premises. Please follow the staff instructions. Management is not responsible and liable for any injury suffered by you. Snow Area is cold, slippery and high caution is to be maintained all the time. Snow Area has rides, games which may be risky for some. Extreme caution to be maintained. Be cautious of pickpocketing and robberies. Please ensure to have all your belongings in safe custody. Management is not responsible for any loss or damage of your property, items, valuables, and belongings. Please follow the directions, rules, instructions. 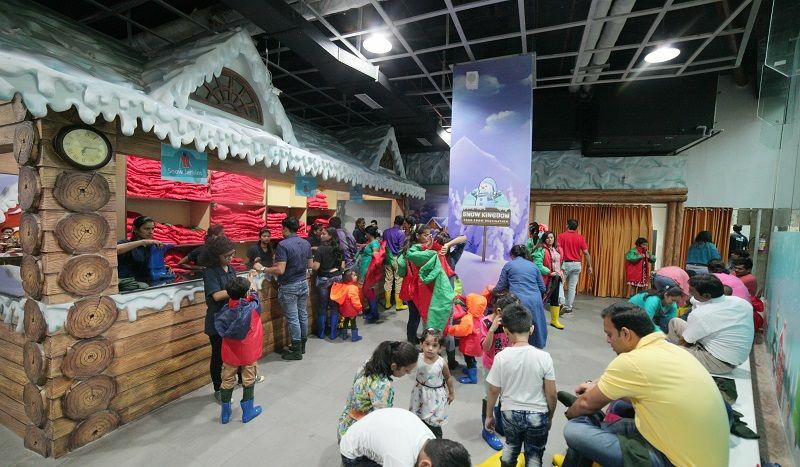 Make your visit to the Snow Kingdom an enjoyable experience for yourself and other visitors, while you are at the Snow Kingdom. Don`t forget to share your happy memories of the Snow Kingdom with your friends and loved ones! Outside food and beverages are not allowed into the Snow Kingdom. Food items are strictly not allowed into the Snow Area. It is compulsory to wear Snow Costume gear provided by the Snow Kingdom. Other footwear is strictly not allowed into the Snow Area. Costume Gear (jacket, pair of gloves, Pair of Socks, and pair of boots) are provided free of cost on a returnable basis. The Snow Kingdom provides limited sizes of Costume Gear subject to availability. Regret for unavailable sizes. Cooperation solicited. Mobiles/Cameras to be deposited at the Mobile Counter at free of charge. INR 150 is charged per mobile/camera to take into Snow Area.